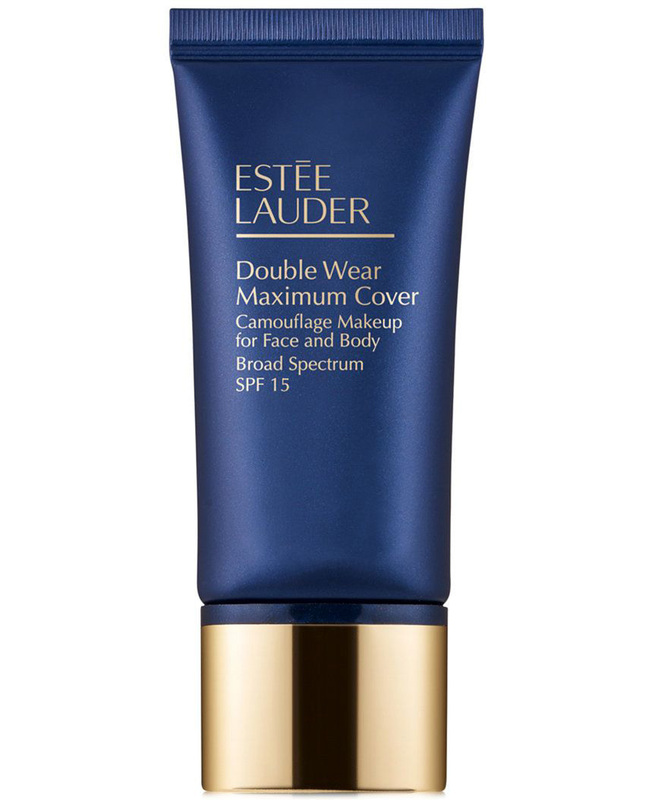 Double Wear Maximum Cover Camouflage Makeup For Face and Body SPF15 provides flawless coverage for up to 12 hours. The lightweight make-up can be used as both a foundation and concealer. Non-acnegenic, ophthalmologist and dermatologist tested. Fragrance free. Available in 12 shades. At first thought, I was like wow I got to try this. I read reviews that it can be a bit cakey looking on dry skin. But I really wanted to try it. So worked out what I thought was my skin match and ordered it. Turns out I got the slightly darker shade. So had to go on their site and order a lighter shade. As some places online like myer etc don't show all shades. I mixed both shades as the lighter one was too light lol. I made sure I was fully moisturiser to ensure it won't look cakey. It literally is like a concealer. It covered all my imperfections and blemishes. My dark circles. A small amount goes a long way. Don't go squeezing out a big blob. You'll waste it. I used a great buffing brush from real techniques brand. And worked a treat. This foundation lasts all day. If you eat oily food be prepared to have some rub off around your mouth chin area. Used a translucent powder, very minimal lightly. And was very impressed. It doesn't feel that heavy. But you need a good pre cleansing oil to remove most of it first as a cream cleanser or milk cleanser won't do anything. Not sure if foaming or gel cleansers will but something like a pre cleanse might be needed. A small amount goes a VERY long way. So don't go squeezing out a big blob. You'll waste it. This foundation will last. Most skin types I believe. Anyone with imperfections and acne scarring. Blemishes. Dark circles. I was recommended to try this by the counter lady at Estée Lauder as I love the original double wear foundation and love full coverage. I got it in the same shade yet it was a little darker in this formula. It is quite thick and sets quickly on my skin so you need to work quickly. The coverage is insane and a little bit goes a long way which is good. My only gripe was that the reason I love the original double wear stay in place foundation is that it’s amazing for oily skin and this one seemed to slip off my Tzone, no matter what primer I used and it didn’t take kindly to blotting or retouches. So I ended up using it for night time events when I know I wouldn’t be in the heat and wouldn’t be needing it to last for hours and hours. But overall great coverage. Estée Lauder Maximum Cover is one of those cult products for the die hard foundation fan! So much so, if I ever got wind this baby was being retired I’d buy a case! Maximum Cover really covers everything, and for those with acne or scarring or pigmentation to cover it does the job. I don’t fall into that camp, I just love the texture, the way it glides on and stays on. I don’t think it has quite the staying power of original double wear due to its smooth spreadable texture, but it’s plenty enough for me. So here’s where I let you in on my secret formula.. I actually use Maximum Cover combined with Double Wear Light for a custom blend foundation that has been my everyday for about 8 years. I previously used original doublewear, however this texture is better for me, and I love the squeeze tube packaging both Max cover and DW Light come in. I squeeze a little of each onto the back of my hand, the apply with a foundation brush (M.A.C 190). Depending on how much cover I fancy, I adjust the ratio of each product for more or less coverage. My skin is about a 2-3 on Estée Lauder’s colour scale and I’m warm toned, I find the undertone on Max Cover suits me perfectly. The price of Estée Lauder foundations is on the higher side, however I use so little of this product it lasts forever. Definitely a favourite in my beauty bag. Blend on with a foundation brush. For adjustable coverage mix with Double Wear Light or even a little MAC strobe cream. I have mixed feelings about this foundation. I've used it for almost 2 years and I liked the full covering that it provides if you suffer from acne scarring or melasma. And you only need a tiny amount! However, the colour did not suit mine, it lacked staying power, and it oxidizes on me and turns orange which is not a great look. It is also quite pricey, but for a standard 30 ml high end foundation it's not that bad. All in all, I liked using it, however I'm not going to buy it again because I'd prefer to try something else. I do think this product would suit plenty of others, however. If you could find the perfect shade and don't mind touching up your makeup during the day. Anyone who has blemished, sun spotted skin. I love this foundation! It gives you awesome coverage and longevity. Its a very creamy thick consistency. I also love mixing the foundation with the normal double wear for a more day to day full coverage foundation, mixing the two will still give you full coverage and last over 12hrs on combination skin. Unfortunately the double wear max only has limited shades but it has never been an issue for me. I liked this foundation enough to recommend this to a friend who had melasma from pregnancy. I was given a sample in a pot from the Estee Lauder counter, and it lasted me 3 months. The consistency is very, very thick. I applied it before a game of golf at 3PM so I really meant to test this. I used a very tiny amount, less than a pea size, and as I swiped it, it was like magic. It was covered my skin beautifully. An hour into the game, I started getting sweaty everywhere but not on my face, and it felt like the foundation was plastered on my face. On its own, the foundation does feel heavy, even when a tiny amount is used. Still, I cant fault the coverage and it certainly stayed in place. Use as a concealer or use as foundation but mix with a serum foundation or any skin care (oil, moisturiser, or serum). Also can be used to cover flaws in the body as it is certainly waterproof. Full coverage foundation that covers everything. On days when I my hormonal breakouts flare up this product is an absolute life saver. Super creamy formula which I adore. SPF is really important to me as a fair skinned red head so the SPF 15 is welcomed. This product is also very matte so you only need a light dusting of translucent powder to set the product. Isn't a cakey product for how full coverage it is. Blend in circular motions and start from the nose and work out. I was looking for a full coverage foundation and could not find a good one anywhere but then my mum recommend Estee Lauder double wear camouflage foundation. From the first moment I used this product I fell in love. It is my favourite foundation it gives the perfect coverage although the lightest shade creamy vanilla I believe it's called is a bit too dark for my skin so I wear it with my fake tan. This product sets really well with Laura mercier translucent powder. I have normal skin and this foundation is perfect I don't recommend it to very pale people. I turned to this foundation as my hyperpigmentation was showing through my foundation and concealer. It truly does cover anything, but I found it dries so quickly you can only apply a small amount and have to work quickly to blend it in. The texture is very smooth, and a tiny amount will do your entire face. I tried applying with Real Techniques brushes and beauty sponge, and I found the best results came from the concealer brush. It can look very heavy and settle into fine lines, but you can also mix it with an illuminator for a more dewy, sheer look. I prefer a more natural finish, but if you have to cover anything really dark, then the downside is looking a bit cakey. I did find that at the end of the day, it looked a little patchy, where you might touch your face, so it wasn't as long wearing as I expected. There is a very limited number of colours, and I think that is a shame. Use a little and blend quickly. Melasma, hyperpigmentation, scars, birthmarks, tattoos. It will stay in place as well as protect your skin from the sun. You only need a small amount, as it goes a long way which is a bonus! Great for a natural, or full coverage look. Can be worn with or without finishing powder, such a great foundation to use! I love it so much, one of my favourite as it covers the freckles! Offers Great Protection and Coverage!  Double wear foundation: I have been using Double Wear foundation for a couple of years. I like the protection the SPF gives my skin. It delivers excellent coverage for my for particular skin tone . Applies beautifully to my skin and has great staying power. I usually apply with a damp blending sponge so that it really blends well into my skin. I find that in extreme heat and humidity this is a foundation that won't let you down. A great foundation to wear in summer. But it's still a great foundation in winter or for a heavier made up look for a night out. I discovered Double Wear around 2 years ago when I was suffering horrible redness and vicious acne scars. With the complete coverage and ease of application with the product I was in love straight away! At first I used the product as a full face cover and would apply a slight powder finish to set the product. This IS required!! As the product is not matte and will have an oily finish.. though the product does not add oil to your skin. It is thick and needs to be throughly removed at the end of the day! I now am using it as a spot coverage and using a lighter foundation on the remained of the skin. I do find the product is so heavy you can feel it on your skin all day and not for a rookie make up user. Use in moderation. This is a thick, heavy product - used well it can be a girls best friend! People with strong redness and bad scaring. I have been using this foundation for a few years exclusively as I have acne scarring and redness. This really is maximum cover and you can build it up over a couple of layers (which I do on bad skin days), and I find that there is no need for concealer. The only thing I don't quite like is how it lasts on my skin. My skin is quite dry so I do find that it can break apart and go a little patchy on those areas after a few hours, especially on cold days. On very hot days it can slide off if you don't set it properly with a good powder and/or setting spray. I like to apply this with my fingertips in small 'patting' motions. You only need a tiny amount for each area as a little goes a long way. People with redness and scarring, but otherwise 'normal' skin. Not ideal for dry skin but you can make it work. Best foundation I have ever tried! I bought this foundation after many cheaper foundations broke me out - I figured a higher end better quality foundation may be nicer on the skin and I was definitely right in this case! This foundation is by far the best I have ever used. I use a small pea size amount, which blends out to cover my entire face perfectly, concealing all blemishes and leaving my skin looking flawless - without looking mask like or cakey. I use the real techniques stippling brush or a sponge to apply this foundation which I have found to be the best methods, leaving a natural finish on the skin - it can be a little harder to get even coverage when using fingers to apply. I wear shade 03 Creamy Vanilla which suits my skin tone perfectly, does not oxidise and turn orange as many foundations do on my skin. This foundation has never broken me out or caused me any skin issues. Due to the tiny amount needed to cover your whole face, this tube has lasted me quite a while. For $50, it is a more pricy option than Revlon, etc. but in my opinion is definitely worth it for a beautiful foundation which leaves your skin with a full coverage yet natural finish. For foundation, I look for maximum coverage. Maximum coverage usually means caked on foundation. What's most amazing about this foundation, is that it's maximum coverage, yet so light and smooth and you only have to use the slightest amount and it spreads far. It's also matte, so you don't have to cake on extra powders. I found out about this product through a friends who works on TV, and this is the product all the reporters use. Lasts all day and night and has SPF! What more could you ask for?? I love this foundation it is really FULL COVERAGE and it last all day with a flawless finish to it. I found that it never oxadizes on my oily skin too( there is nothing worse then putting so much time into applying something then finding out you look like a oompa loopa) which is a huge bonus. It has a creamy consitency and goes on smooth, I use a Sigma F80 to blend it out. I also use this a a concealer its great a dulling the appearance of dark undereye circles and acnce scars. This foundation is overall fantastic!! I have always struggled to find a foundation that stays on my face yet provides good coverage. It is incredible. It lasts all day and doesn't need to be touched up! And the colour range is fabulous. My new HG! One problem is, once you try it, its hard to find a foundation that's as good. Although its thick, a little bit goes a long way so be mindful. A sponge will apply it thicker but may look caked so I suggest a brush. I use this on clients when I want the base to stay in its original state for the whole day. I have used it full strength and also mixed it with moisturiser for a less opaque but still great coverage look. It gives the most incredible cover without being cakey or thick. Can be a little hard to find the perfect colour match. This is the one thing I find a little frustrating with EL, the lack of range of foundation colours. Otherwise this is a highly recommended foundation. Can be used with moisturiser to change its intensity. Full coverage and staying power. My only gripe is that it can accentuate dry areas and it's a bit hard to blend. I actually hate that it has SPF in it. Works well enough to become a concealer, so it's a 2-in-1 product! As it's a double wear product, proper removal is important. But a little definitely goes a long way ! The cost may shock you.. Embarrassed by facial redness? We’ve got you covered.